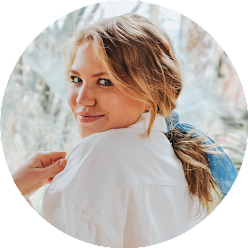 I am beyond excited to leave for New York and the Hamptons today! Packing yesterday was quite the struggle, and I'm seriously crossing my fingers that I didn't forget anything. 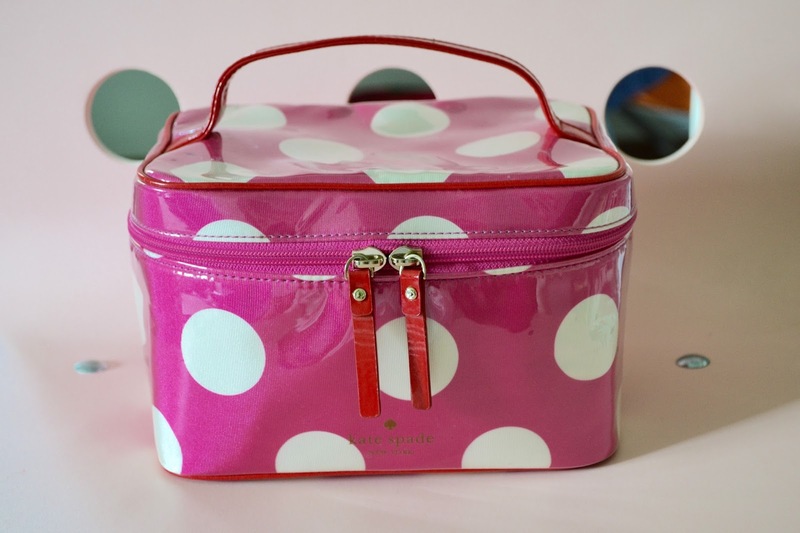 One of the most crucial aspects of packing a suitcase is packing your cosmetic bag. For me, I always think I won't need things and then I show up on vacation missing something I seriously would've liked to have with me. So, fear not, consider this your field guide to packing your cosmetic bag! I organize my bag in layers. 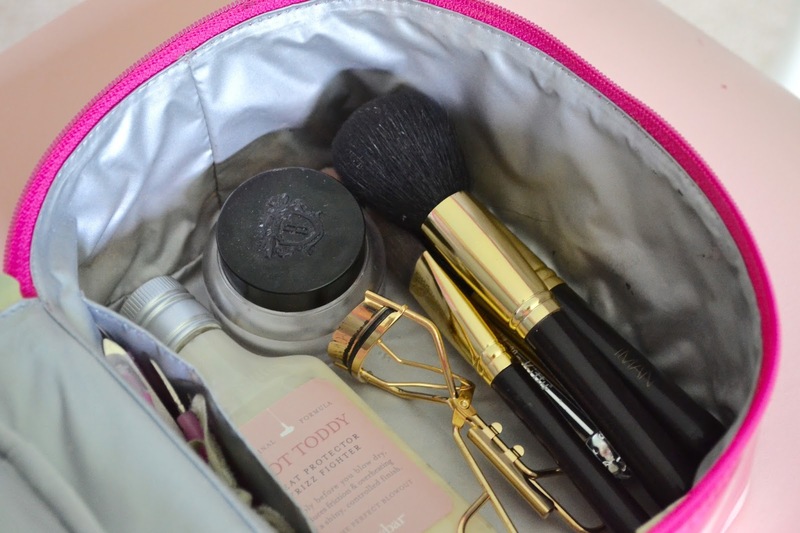 I start with my makeup brushes, moisturizer, eyelash curler, and heat protectant on the bottom. 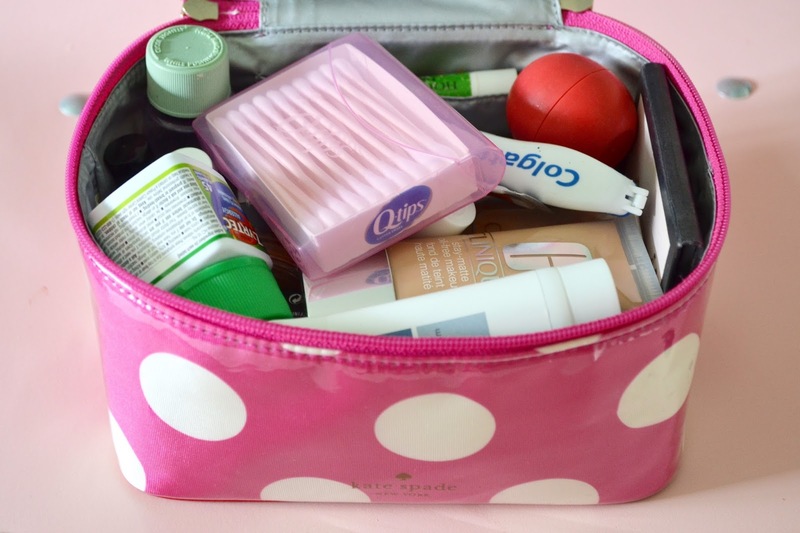 Although these are all things I will need almost everyday, they are the bulkiest and make packing my toiletries that much easier. I swear by this moisturizer and this heat protectant. Next, I add on top my deodorant, a roll-on perfume, a razor, makeup remover, cuticle oil, and highlighting drops. These are kind of those awkward things you need but don't really know what to do with them. Towards the top I like to add the things I absolutely must have; the things that wouldn't be too easy to replace in a pinch. This includes my favorite tinted moisturizer, my everyday mascara, go-to bronzer and eyebrow pencil, and the nail polish I'm wearing that week. In the little pocket I have chapstick, bobby pins, a few nail tools like a cuticle trimmer and mini file, and an extra hair tie. 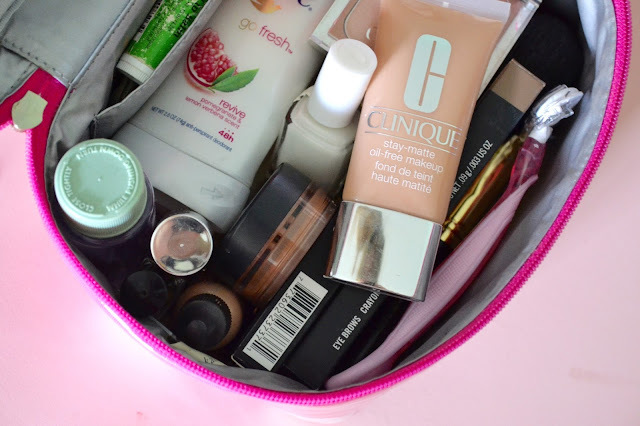 Other essentials inside: my favorite eyeshadow palette, lip balm, and clear nail polish. Finally, on the very top, I throw in my toothbrush, toothpaste, medicine, hand lotion and qtips! And that's that! 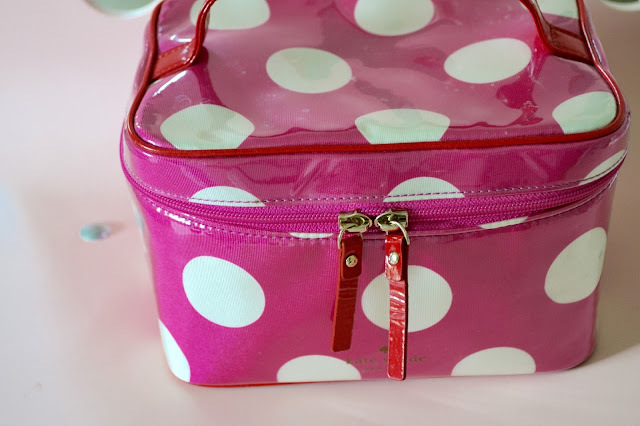 Do you have any tips for packing your cosmetic case? Great tips! I'll use them when I'm packing for vacation next week! 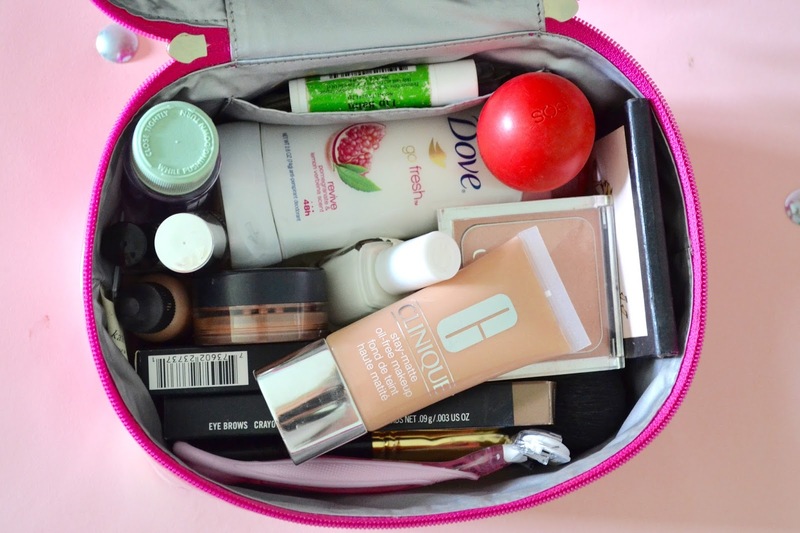 I can't believe you fit all of those things into that small bag, you are a packing genius! sunglasses, books, clothing, shoes, shocks, electrical equipments, and almost anything really, provided that its size is suitable to fit inside the packing cube that you want to use.